Just as we strive to provide you with exceptional, patient-centered care, we also work hard to make dental care more affordable for you and your family. Harris Creek Dental accepts a variety of payment methods so it’s more convenient to choose the one right for your budget. We take cash, check, debit and credit cards, insurance, and Medicaid. Have questions about your financial options? Call or email us and we’ll be happy to answer them! Prefer a payment plan? CareCredit offers interest-free payment plans as well as extended financing. There are no up-front costs or pre-payment penalties. You can apply in our office or online at www.carecredit.com. Harris Creek Dental accepts most insurance and are preferred providers for many as well. Please contact our office for more information about your specific plan. Please note that dental insurance is intended to cover some, but not necessarily all, of your dental care costs. If there is a co-payment or deductible due, we ask that you pay that portion at the time of service. Even if you don’t have dental insurance, you can still get access to affordable dental care by joining our in-house savers plan. On top of that, you will also get 10% off preventive, basic, and major dental procedures! Annual membership is just $300 for adults and $175 for children (12 years old and under). We love welcoming new patients to our practice! 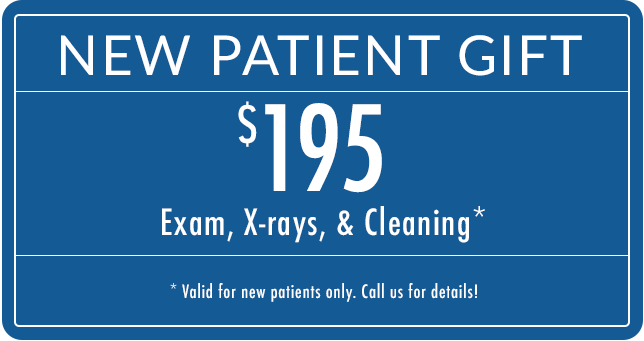 If you’ve never visited us before, feel free to take advantage of our new patient special.